A Winter Storm Warning remains in effect into the evening across southern Wisconsin. 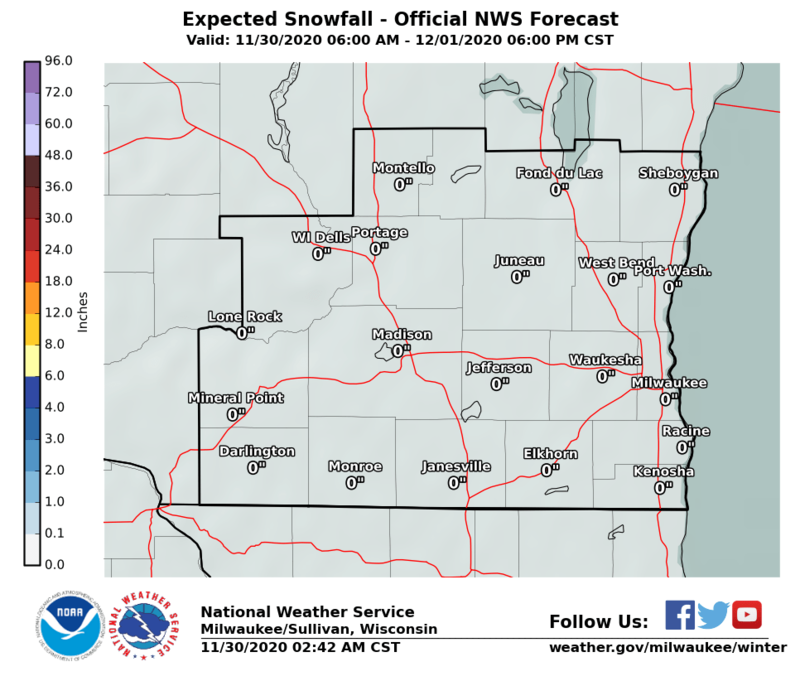 Snow continues to affect southern and central Wisconsin. Accumulating snow will continue through the late morning and early afternoon, before tapering off slowly from west to east during the afternoon and early evening. Widespread snowfall of 4 to 8 inches has been reported as of this evening as depicted by the below graphic. Isolated locations reported higher amounts just above 8 inches. 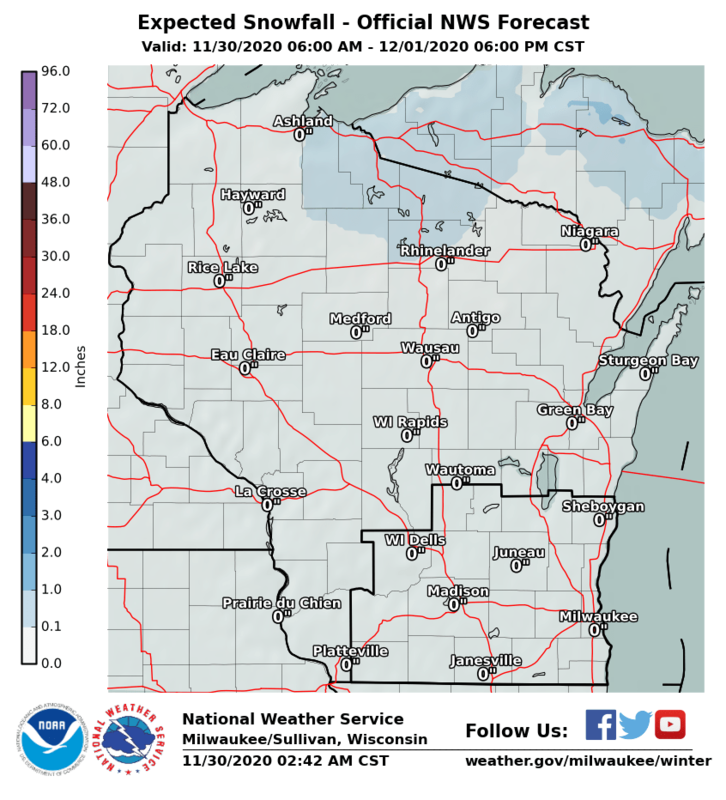 Additional snowfall of 1 to 3 inches is expected today, pushing snowfall totals to the 5 to 9 inch range across south central and southeast Wisconsin. The snow will be dry and powdery. West winds gusting to 20 to 25 mph later tonight into early Monday will cause patchy blowing snow. Submit a snowfall report here. View snowfall reports here, and view a graphic here. Click here for more winter weather information. 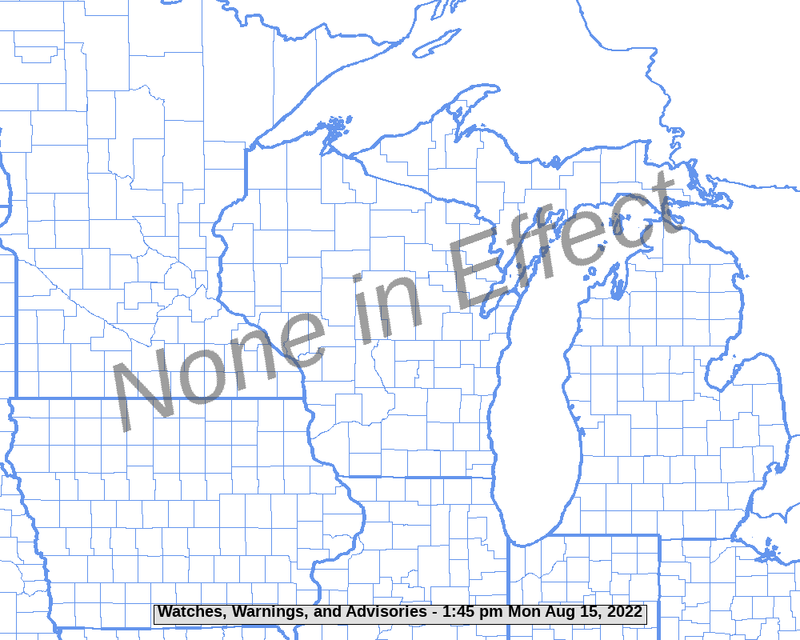 Click here for an hour-by-hour snowfall forecast at several locations in southern Wisconsin! In a new experiment, we have begun to attempt to show uncertainty regarding expected additional snowfall amounts. This is the best case scenario. We are confident that snowfall totals will not be less than this. Our official forecast. This is the most likely scenario. Most signs point to snow accumulations near what is shown here. This is the worst case scenario. We are confident that snowfall totals will not be more than this. After the weekend system departs, there are indications that even colder air will arrive through the middle of the week. The dark blue indicates high probabilities of below normal temperatures. Average highs during this time period are 30 degrees, while average lows are around 18 degrees. Right now, models are in remarkably good agreement with the very cold temperatures, considering this is several days out. The image below depicts surface temperatures early Wednesday morning next week, December 14th. While these exact temperatures may not occur Tuesday night/Wednesday morning, the good model agreement does suggest that a significant arctic blast is likely this week.